How is it autumn already?! 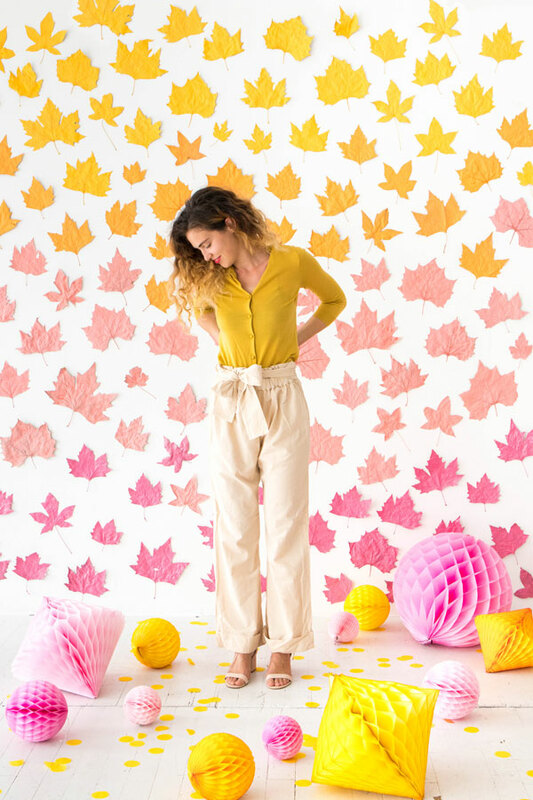 I have no idea how the summer flew by so quickly, but we’re coping by carrying bright colors into fall as well! 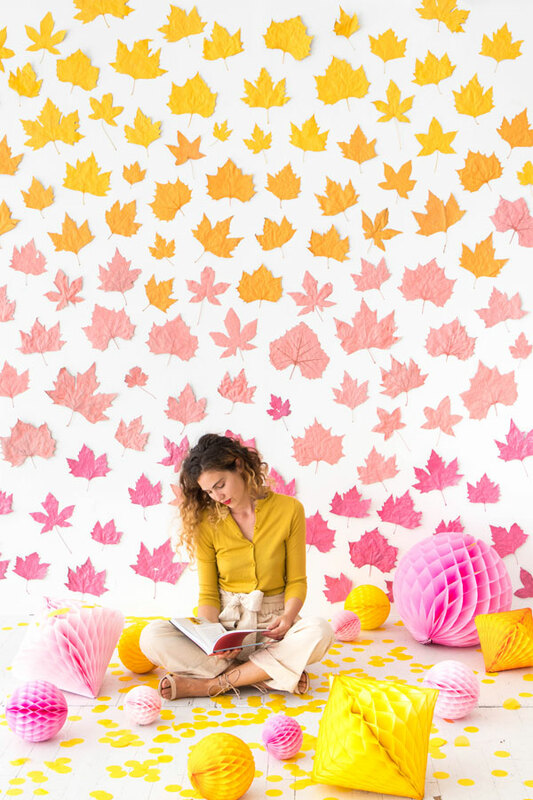 One of my favorite things about fall has always been the leaves changing colors, so with this project we’re giving them a little bit of help! 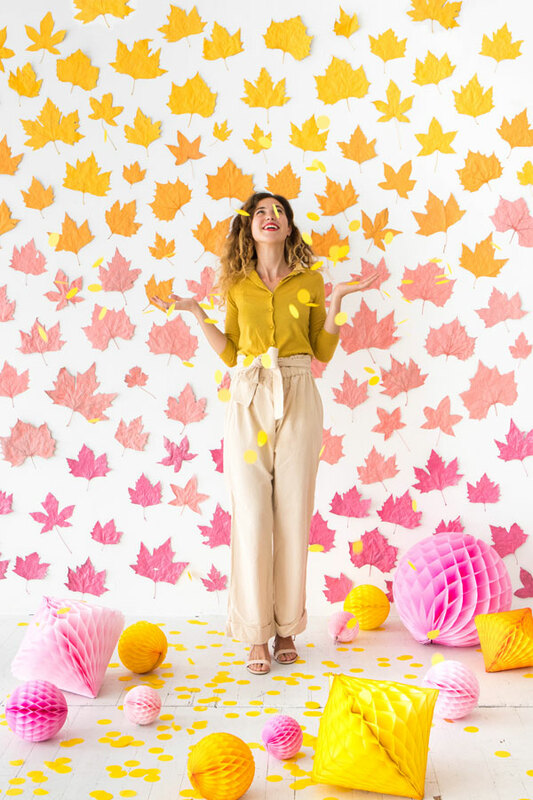 All you have to do for this backdrop is spray paint some of the leaves that have been falling off the trees and voila: you have the perfect autumn party scene! Materials Needed: Various fall leaves picked from the tree, paper towels, wax paper, iron, spray paint (in yellow, orange, and pink), gaffer’s tape. Step 1: Place a leaf between two sheets of wax paper. Lay paper towels down underneath and on top of the wax paper. Step 2: Iron for 45 seconds. Then, gently flip the leaf. Iron again for 45 seconds on the other side. Continue until leaves are completely dried. 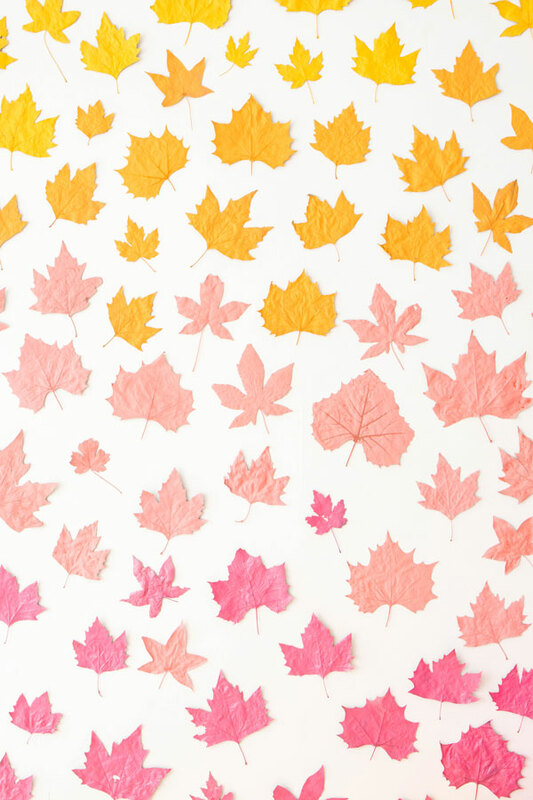 Step 3: Spray paint a quarter of your leaf collection in each color. 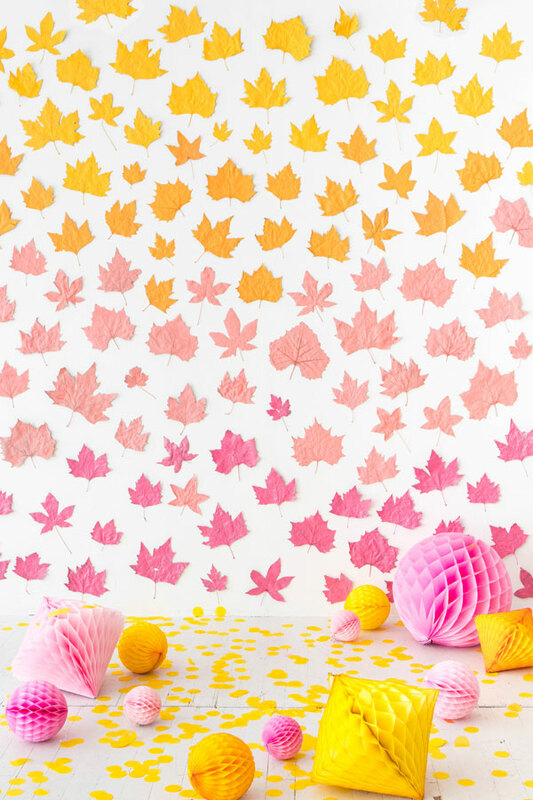 Step 4: Attach and arrange your leaves to the wall, creating an ombre pattern as you go. All done! I love the ombre effect, it’s so beautiful! Love this so much!! Happy Fall!! Oh my gosh! This would be such a cool background for photos. Love it! This is such a cute idea! I just love the colors! I just love this! I am a new follower and I think I will be a follower for forever. Thank you!